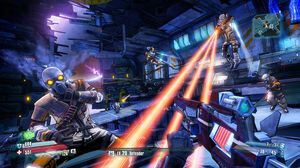 Borderlands: The Pre-Sequel is the first entry in the series to be developed outside of Gearbox Studios, and it's happening just across the ditch at 2K Australia. James sits down with creative director Jono Pelling to learn how the project came to be, and how his team is putting their own mark on such an identifiable series. Q: Borderlands and Borderlands 2 were both developed at Gearbox. How did 2K Australia come to develop Borderlands: The Pre-Sequel? Jono Pelling: It was kind of organic. We’d finished up on BioShock Infinite, and we were figuring out what we were going to do next. 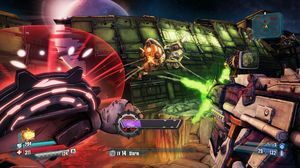 Gearbox was keen to make more Borderlands, people started talking to each other, and we got the idea to do something for it – thinking about what that might be. It was a conversation and collaboration between Gearbox, 2K headquarters, and us. It was very much an emergent idea. Q: The game is set between the original Borderlands and its sequel, Borderlands 2. Was that an idea that was brought to you, or was that an idea that you developed internally and pitched to others? Pelling: As with most aspects of the game we definitely collaborated on that. We knew we wanted to explore more about the characters – especially Handsome Jack – and to find out who he really was. 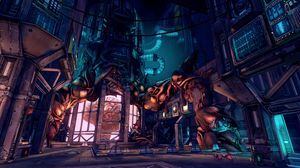 In Borderlands 2 you see just one side of him, and there are hints at a deeper angle on Jack. 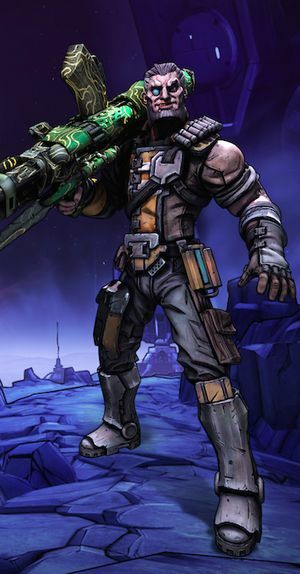 In The Pre-Sequel we portray him as a hero in the early parts of the game. You get to spend some time with a character that you love, and you get to see a different side of him as well, which is really interesting I think. So we wanted to spend more time in this little continuity that we have, but we’re also able to play with notions of what that continuity means. One of the narrative devices that the franchise uses from time to time is the framing narrative. For example, in the Tiny Tina DLC for Borderlands 2, Assault on Dragon’s Keep, the whole thing is actually these characters playing Bunkers and Badasses, and you’re acting out what’s happening as these characters are playing. The Pre-Sequel is doing the same thing. We’re hearing a story that’s being told by Athena after Borderlands 2. So we’re going forward and looking back at the same time. Q: How early did you guys settle on the moon as the game’s setting, and what drove that decision? Pelling: For me it was one of the very first thoughts I had when I wondered about what we could do with this game. When I was playing Borderlands 2 I would look up in the sky, and the moon looked really interesting and different in Borderlands 2 compared to how it looked in Borderlands. In the original it looked like our moon, and in the second it’s all cracked and fiery, and it has this Hyperion space station on it. 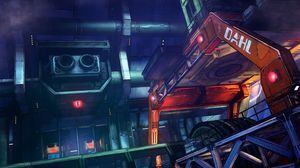 All throughout Borderlands 2, I was assuming and hoping that we’d get to go there because it’s dominating in every outdoor scene on Pandora. At the end of the game, when I realised we were never going to go there, that left me thinking I wish we could, and that maybe it’d be included in DLC. When this opportunity came along, I thought we should do that because it looks so interesting and exciting. Q: On that, what makes this game identifiably or uniquely a product of 2K Australia? Pelling: It has to be the whole Australian flavour that we have. I think that’s something that is pretty unique as far as AAA games go. You don’t really see a lot of Australian stuff in games. That was a really exciting opportunity for us not only to put our stamp on the Borderlands franchsie and carve out a part that was ours, but also to have some fun with our culture and expose that, to put it out there and make some jokes about it – do some things that other people mightn’t understand, in-jokes and whatever. That was incredibly fun and also kind of accidental that we ended up doing that. It’s my favourite part of the game, that flavour and that character that’s coming through. Q: The Australian film industry constantly wrings its hands over the question of whether the Australian accent translates well internationally, but you guys have embraced it wholeheartedly with ocker accents that could strip paint. Pelling: Yeah, it’s interesting! There’s a jarring moment when you suddenly realise you’re not listening to an American accent, you’re so used to hearing American voices in these games. When something different comes along, you’re not used to hearing that so it hits you like a brick wall. But having worked on this game for a long time now, and hearing it every day, I don’t really hear it as much anymore. We definitely pushed some characters further in the direction of the ocker stereotype, which is a lot of fun. Borderlands doesn’t really do things by half measures, so we didn’t want to be subtle about it: we wanted to be out there, having a laugh. It’s more colourful that way, and more entertaining. Q: For the first time in the series, characterisation and the personal stories of the player characters appear to be a huge focus. Was that also something you decided on early? Pelling: Yes. We wanted to explore existing characters because there are so many interesting characters [in the universe], but we really wanted to get into more detail, and advance what Borderlands is doing with player characters. 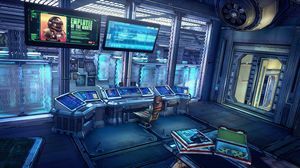 In Borderlands and Borderlands 2, they don’t really say much. They look interesting, and they have different backgrounds – you’re intrigued about who these people are – but you never find out, you never get to know that. That was one of the things we really wanted to change and push in The Pre-Sequel. These characters all have very different backgrounds and identities. For example, Athena is very noble and incredibly dedicated. She’s loyal to the mission. Nisha is just in it for a bit of a laugh, and she’s also developing this relationship with Jack. She’s a really nasty sadist. Wilhelm is purely a mercenary. He’s in it for the cash, and he’s not too smart, but he knows how to get things done. He has an obsession with cybernetics and body modification. If you’ve played Borderlands 2, you know what Wilhelm becomes, what his fate is. Similarly, you know that Nisha becomes the sheriff of Lynchwood. These are bad people, but they didn’t start out that way. By playing these characters through the story you learn that. It’s really interesting for us because they all have different personalities and perspectives on what’s happening. They like or don’t like what they’re doing, and they come to love or despise Jack, but they’re all still working together on this important mission. So we’ve allowed that to come out by having them say things in response to what’s happening, and by having other characters say different specific things to one another depending on which characters you’re playing. It’s resulted in a much more rich and interesting experience, I think. Q: Wilhelm is particularly interesting to me, because he physically changes as he progresses down one of his skill trees. Pelling: Yeah, that interesting, because we know how he looks in Borderlands 2, so we needed to rewind and imagine what he might look like leading up to how he appears in Borderlands 2. So we needed to go to a point in his life before he’d made those decisions. It was really interesting to me to think of that as a journey. He starts out as a normal guy, a human, but something led him to let the cybernetic modification get out of control. So we start changing a few things here and there. At the start of the game he’s got an eyepiece. By the end of the game, if you’ve gone down his cyber commando tree, he’s replaced a whole leg, he’s replaced an entire arm, he’s got this enormous cannon that straps onto his shoulder and plugs into his back. It shows his growing obsession with cybernetic enhancement. 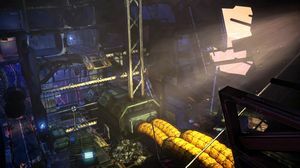 So it’s believable that, after the events of The Pre-Sequel, that he keeps on going, he keeps doing that – that he’d cut off his legs at the waist and plug himself into a loader. His voice changes as well so that he sounds more and more robotic. When we first started designing him, we were adding those upgrades throughout all of his different trees, but it seemed so much stronger once we collapsed that down into a single tree. This is the tree that you go down if you want to turn Wilhelm into a Cyborg, and it’s really rewarding to do that, and see that journey. 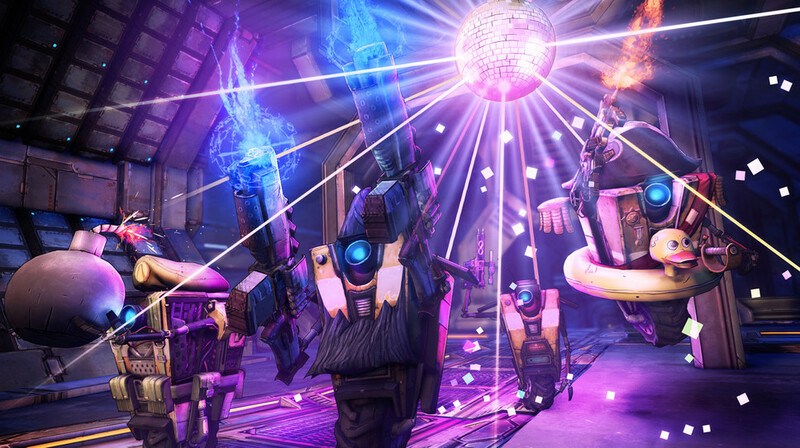 Borderlands The Pre-Sequel is out on Xbox 360, PlayStation 3, Windows, Mac, and Linux on October 16. We chat with the studio boss.